Tables now can have multiple action buttons! Retool now supports Cassandra v3+! We support using CQL - a SQL-like query language for Cassandra. Retool also supports Vertica as a database! Reading and Updating are both supported. Made the Map component update its latitude and longitude property when the viewport updates. Added GeoJSON styling. Try this for an example! Retool now has a Signature Component! It exposes a .signatureImageFile that you can use like the Filepicker's .file property to upload the image to services like S3 or even your own API. 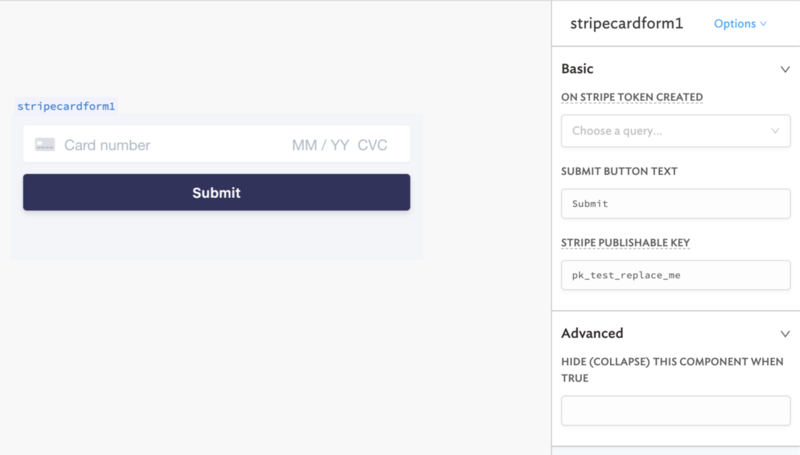 Retool now has a component for collecting credit card information securely through Stripe's SDK. The component exposes a .stripeToken property that you can use with Stripe's API to create a credit card. 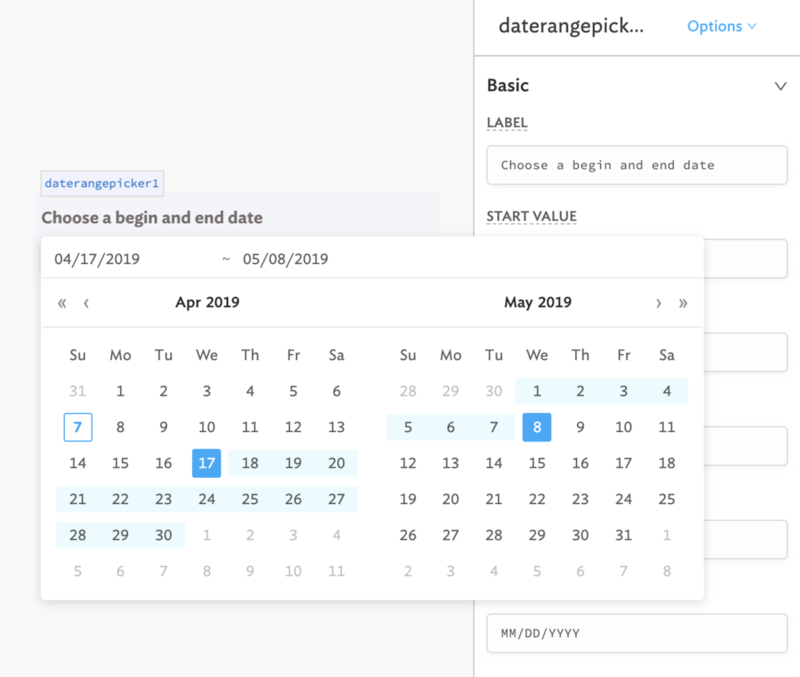 Retool also has a date range component for selecting begin / end dates. Uploaded Excel files are also now automatically parsed! ListViews now have improved performance! Added support for copying invite links directly from the Retool settings interface. Support user-defined expiration timeouts for OAuth resources. Added option to render dates in Tables in their original timezone. We give you full access to the same APIs that our native components have. 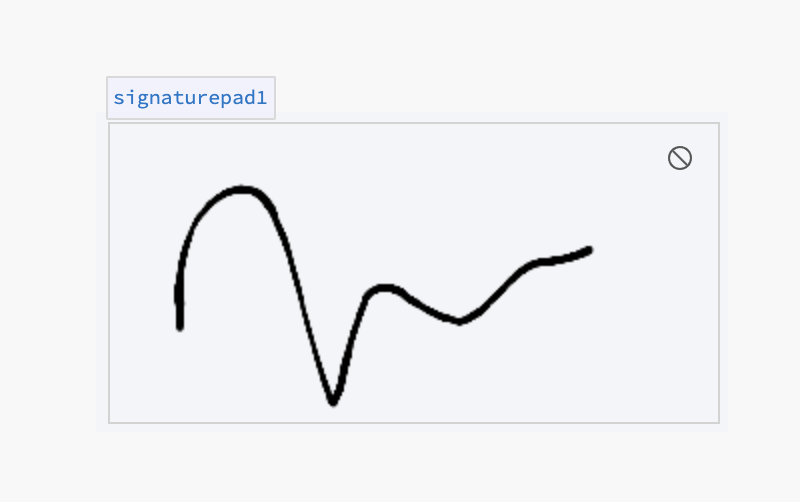 For example, you can now use whatever charting library you want (Plot.ly / D3 / etc.) as well as use custom React libraries like Material UI. Retool now supports dynamically hiding and showing components. Retool automatically relayouts the app to get rid of the empty whitespace. 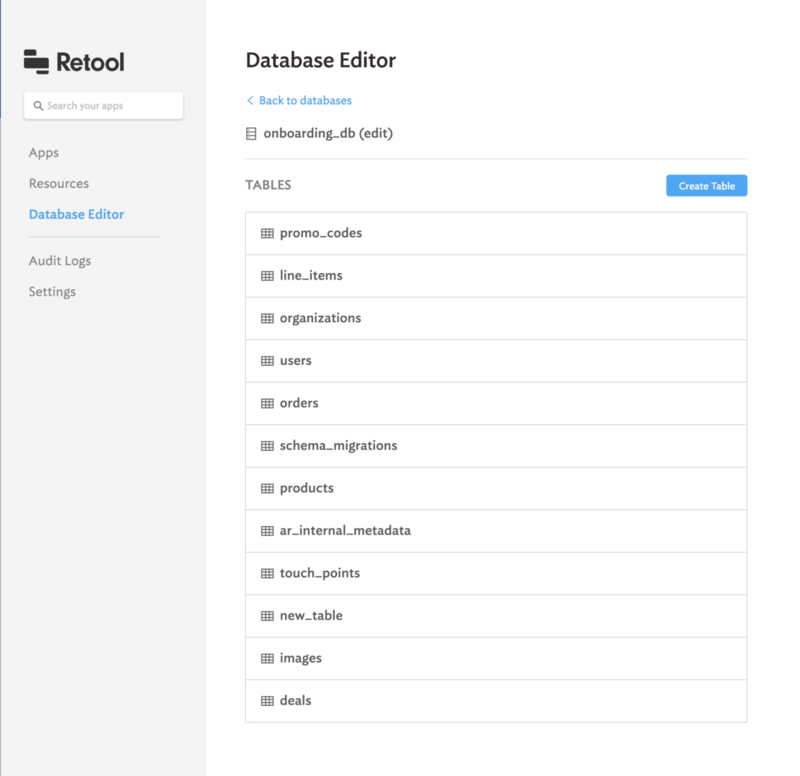 Retool now supports undos and redos! Retool now support sharing OAuth 2.0 credentials between users. Retool also supports specifying an OAuth 2.0 Audience. We've greatly improved the reliability of our OAuth 2.0 integration and extended support to GraphQL as well. Retool now ships with support for monitoring software. We've added support for updating Google sheets. More docs and functionality coming soon! 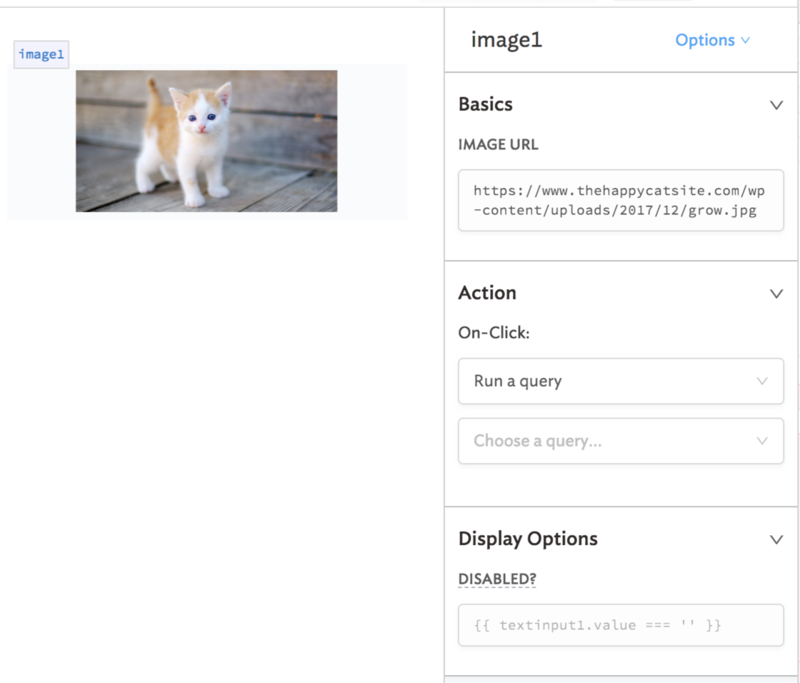 Added support for GraphQL Cursor Based Pagination. Docs here! Added support for deleteOne to MongoDB. Whitelisted slack:// and mailto:// URLs for buttons and <a> tags. Added the ability to set a delay before initially running a query on page load. Added a Looker integration into Retool. Added magic constants USER_GOOGLE_ID and USER_PRIMARY_EMAIL that can be used in the REST API integration to pass the currently logged in user's email / google id to the API server. Improved how Retool serializes Firebase refs. Added support for all Redis commands. Added support for choosing a TDS version for Microsoft SQL Server. Fixed logic for verifying if the user is currently logged into an API. Fixed error handling for GraphQL queries. Fixed a rare yet inexplicable bug where a Retool app will appear to be completely wiped clean. Redis Integration: GET DEL and SET keys in Redis! Canvas Shortcuts: use arrow keys to move components on the canvas! GraphQL now supports OAuth 2.0 Client Credentials as an auth method. Microsoft SQL Server connections now supports older databases like SQL Server 2000. We've released a Snowflake Integration with Retool. Searching for users and apps now works through fuzzy matching. Add an option to set the permissions of a group to "none"
Admins can now require all users to enable 2FA. Added an option to either validate the form as the user types, or only when the form is submitted. Initial page load time for on-premise Retool users can be up to 2-3s faster. 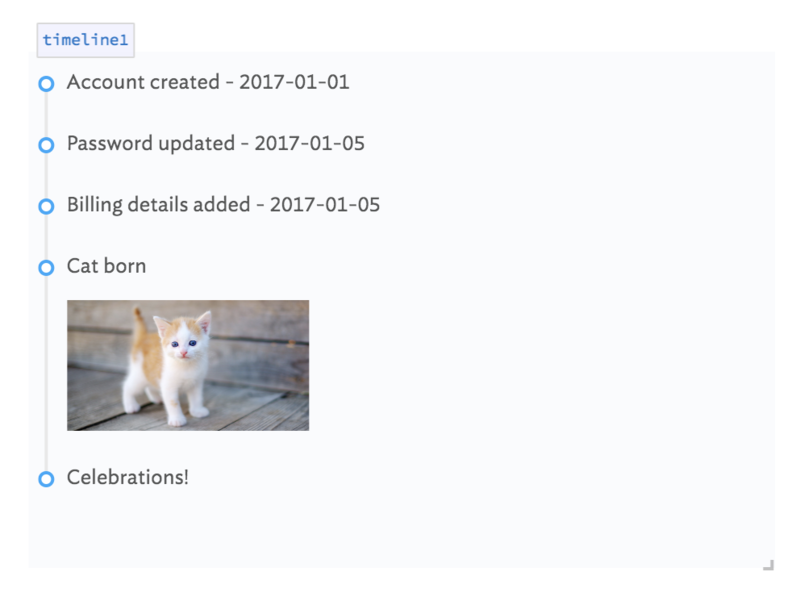 The Audit Logs can now be filtered by users as well. Firestore query by reference / inserting and updating references. Inspired by the MongoDB Extended JSON syntax, you use $ref to specify that the string should be a ref. In any place where you might be a normal value you can now use the following to refer to a reference. 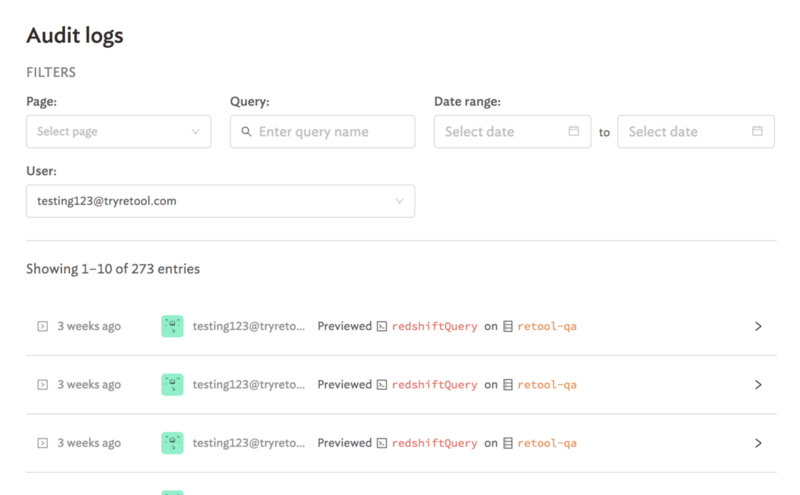 We've optimized filtering through the audit logs that Retool collects so that you can now efficiently trawl through all the queries that your users have run in Retool. Apps should now start up between 1-2s faster on average. Tables are more efficient when rendering large amounts of data. This includes Text Inputs, Dropdowns, MultiSelects, RadioGroups, Checkboxes, Checkbox Groups, Button Groups, Rating components, and more. Every control can now also have a custom tooltip! This allows for designing pull-request flows for deploying apps from staging environments to production environments. The entire UI for interacting with users, groups, and apps have been modified for more clarity. Components in modals will render with the correct sizes in Firefox. We've added a Date Time column type to Tables. Deleting components will automatically trigger a save point in Retool. You can now trigger queries when checkboxes are switched on and off. MongoDB validations for field, limit, and skip have been fixed. Check out our new interfaces! Your users of your apps only see the folders in Retool that have apps that they have access to. Retool apps now look nicer by default with better contrast. Containers are smaller by default, making them easier to create. Fixed: the Audit Logs now renders long context nicely. 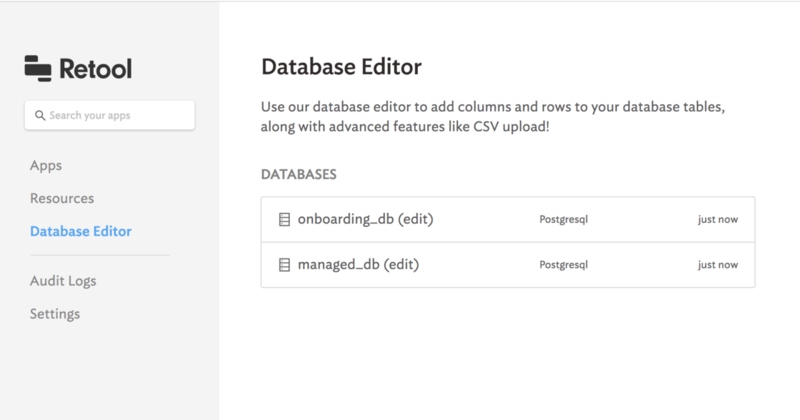 Coming soon: advanced filters by users, query properties, and more. Tables now come with a refresh button for free! Use it to reload the query that the Table it's connected to. It also comes with a download button that exports the data as a csv file. The button is also clickable; you configure it run queries, open other pages, just like a button! There's now a .searchValue property on dropdowns that allow you to get the currently searched for term. This allows you creating autocomplete searchboxes. See below for an example of it in action! Retool now allows sharing Salesforce credentials between users. Tables will now auto-infer data types by default, so dates, numbers, and objects are rendered nicely to start off! Reorderable Lists now have a "labels" property, letting users now reorder lists of data with more human-friendly text in the list. Allow queries to delaying post-query run triggers. 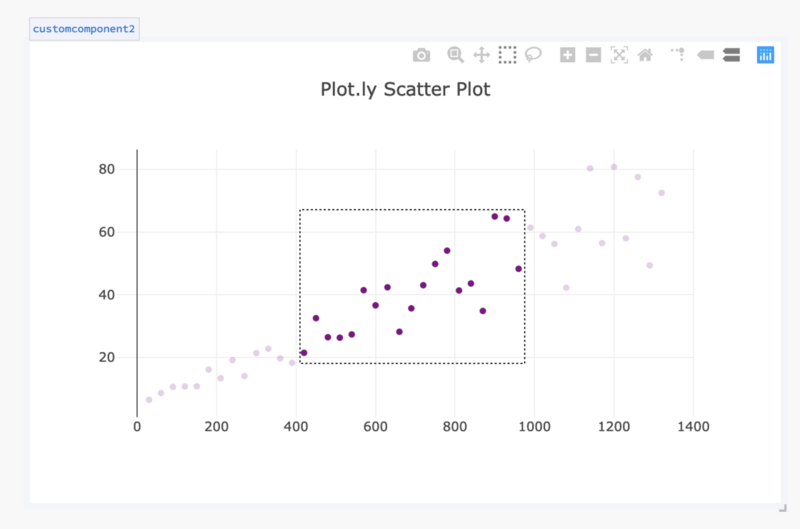 This is useful with datasources like Elasticsearch, or database connections to replicas that might have a small delay in propagation, as the delay lets the datasource catch up with a recent mutation made to the data. Retool now supports APIs that make use of the double-cookie submit pattern to protect against CSRF attacks. We've made it easier to find the search box for your apps to the home page, or use Ctrl+K or Command+K to open up the search! The Modal component can now be optionally configured to close when clicking outside the modal. The Timeline component can be configured to render its values as HTML. The default timeout on MSSQL queries has been increased to 10 minutes. Retool is now generally available on the Okta integration network for both SAML and SCIM User Provisioning. Creating, updating, and deactivating users are supported by Retool. 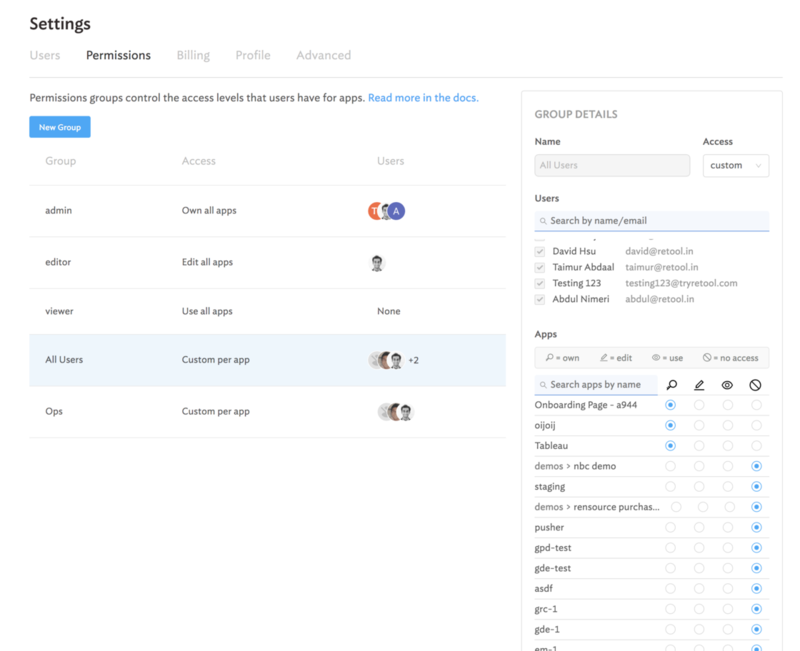 Syncing Groups and permissions is coming soon! Firestore: We've added the ability to insert and update data in Firestore. 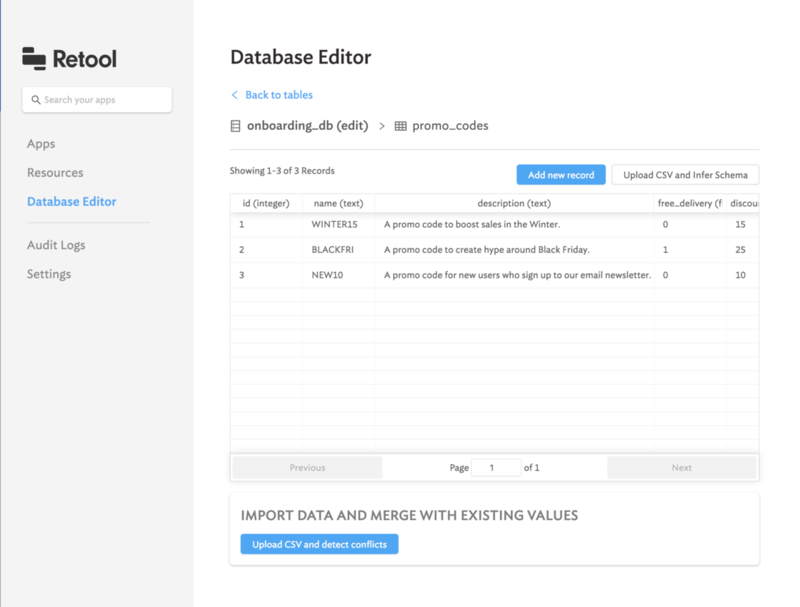 OracleDB: We've added support for writing SQL to OracleDB. Close.io: We've added support for Close.io's API. 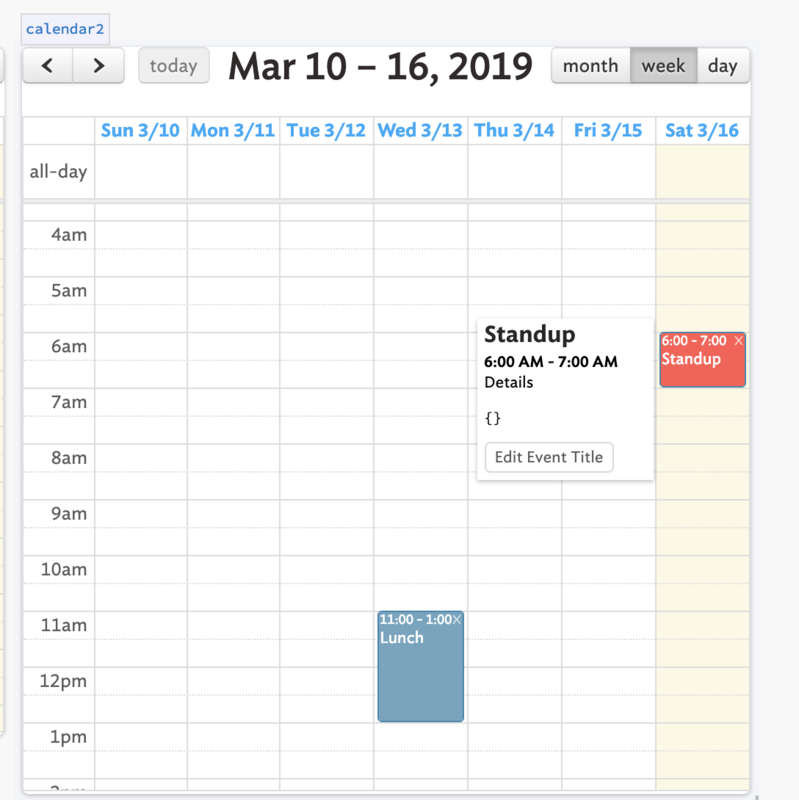 The Calendar component displays all events in the local timezone. Tables with edited cells now always have "Save changes" button visible. 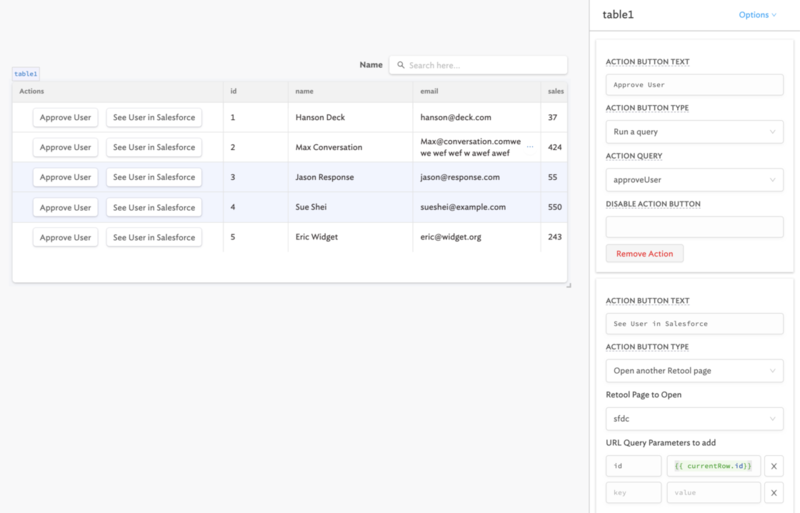 The JSON Schema Form component now shows an email input field correctly. Surely retool will start publishing changelogs very soon.